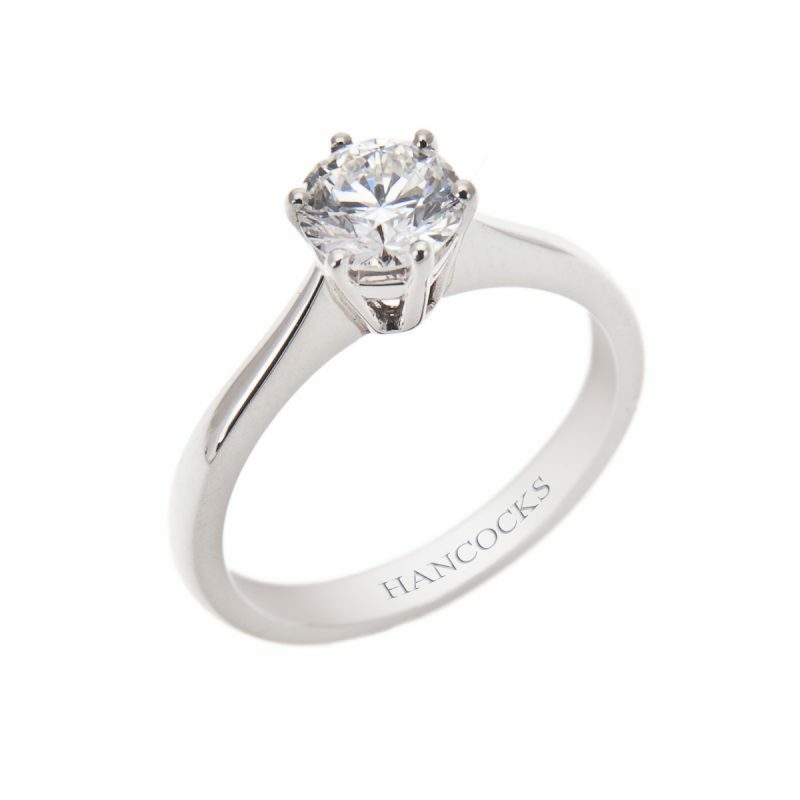 Brilliant cut diamond single stone ring mounted in a claw setting which has been independently certificated by GIA. 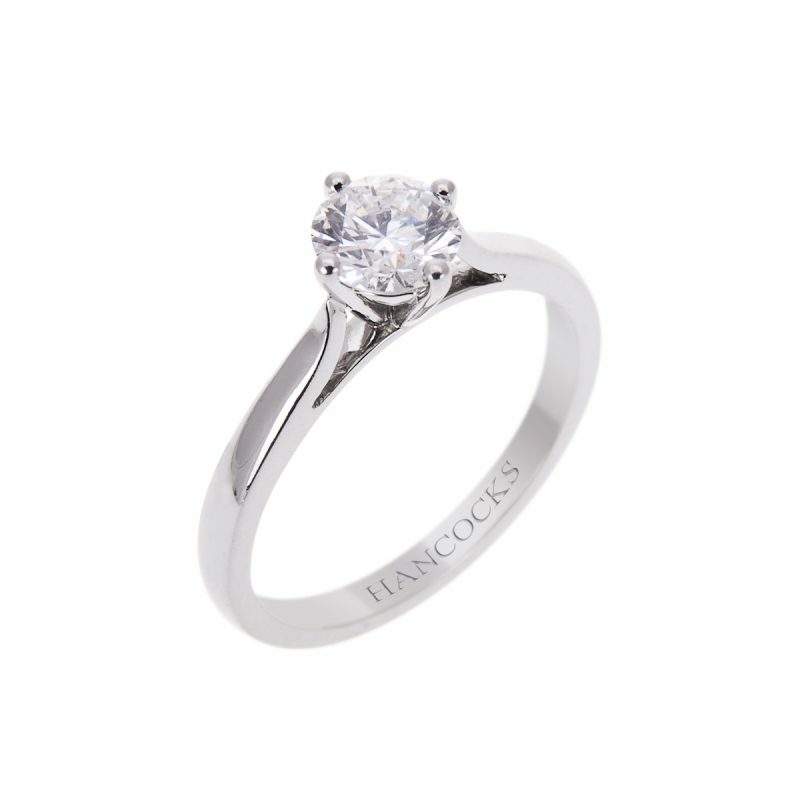 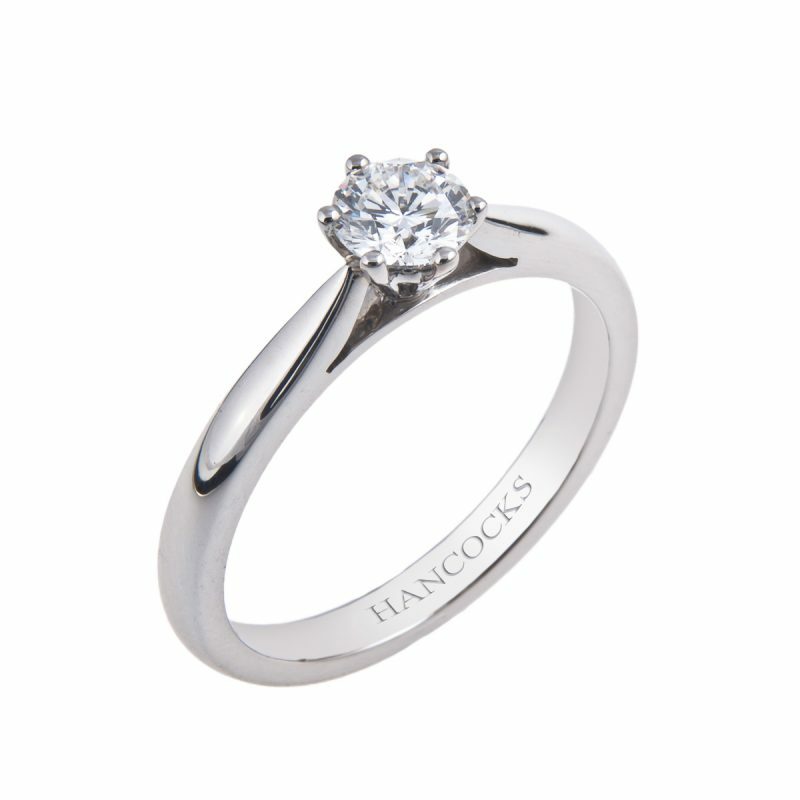 Hancocks have chosen to mount this beautiful brilliant cut diamond in a handcrafted platinum 4-claw setting with sculpted under bezels that allow any wedding band to fit flush. 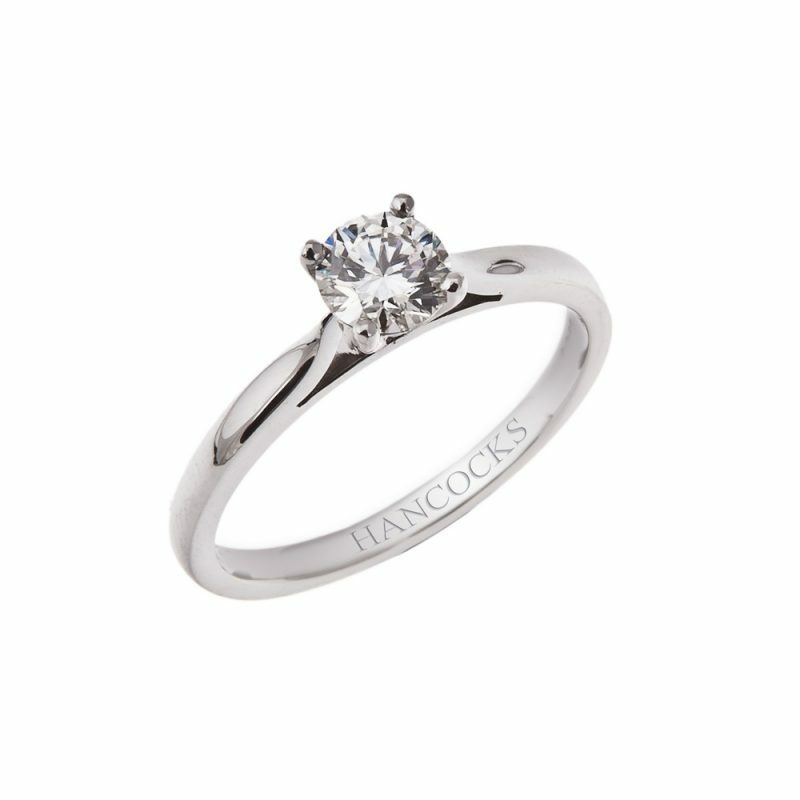 A classic tapered shank is used to further accentuate the natural beauty of the central stone, as you gaze into its glittering facets to seek the enigma of diamonds.